A popular series of PDA running Plam OS. A Palm III is used to organise the rave. 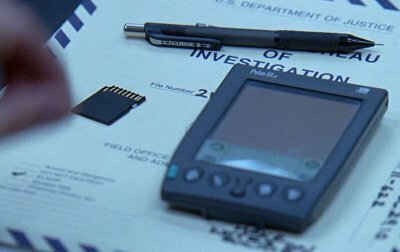 Hanssen smuggles secret information out of the FBI using the Palm. O'Neill collects vital evidence of Hanssen's activities by copying the Palm's memory card under great pressure. 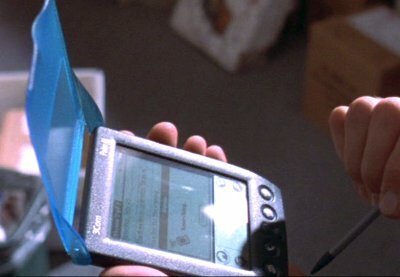 The film depicts data being retrieved from an MMC card, which was not compatible with the Plam III. 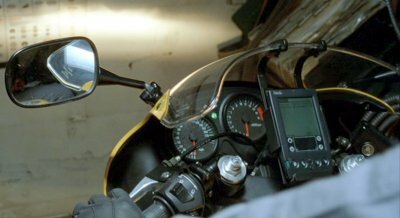 The Wolf uses maps on a Palm IIIc attached to his motorbike to navigate around the tunnels of the State Department. 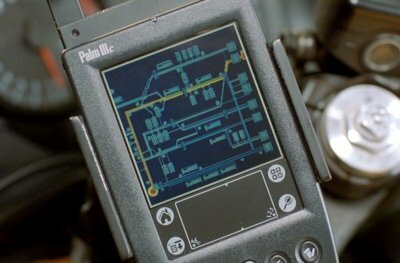 GPS systems were available for Palm III but they are underground! Moreover the graphics looks like they have been pasted onto the Palm's screen in post-production.